Recently, I had the privilege of being invited to participate in the inaugural symposium of the new University of California Berkeley Food Institute (BFI). The BFI is an effort to bring together colleges within U.C. Berkeley to conduct interdisciplinary research to support the transformation of the food system into one built on diversity, justice, resilience, and health. This is an admirable effort and my initial interaction with the BFI and its organizers bolstered my confidence that the Institute may very well support the work of activists like myself. I have a fairly left-of-center political position that is not usually reflected in institutional gatherings, conferences, symposiums, and the like, and I was initially skeptical that something from the mire of the University of California could well support the nascent food movement. As a taxpayer, I am generally disillusioned by a sense that my public university is run by an undemocratic gang of economic elites. As a U.C. Berkeley student, I recoiled as tuition was raised (and minority enrollment dropped) year after year. With regards to sustainable agriculture, the University has been equally uninspiring. 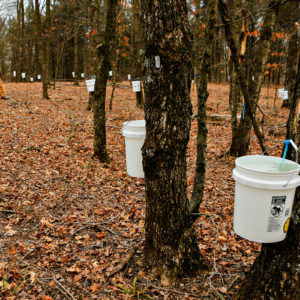 The division of biological control (read: non-pesticide approaches to pest management) has been marginalized within the College of Natural Resources (CNR). CNR also nearly denied tenure to microbial ecologist Ignacio Chapela for his politically unpopular research into contamination of genetically engineered crops and his vocal criticism of CNR’s partnership with biotechnology firm Novartis. 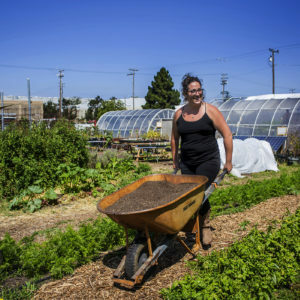 In 2012, the university administration (or parts of it) responded with arrests and lawsuits to Occupy the Farm—a group of activists and local residents who broke onto the U.C.’s Gill Tract and planted 10,000 vegetable starts. While the occupation of the north tract infused new life into previous efforts to establish a center for urban farming, it also coincided with the land’s management being transferred to CNR which intends to keep it in agricultural/research use. 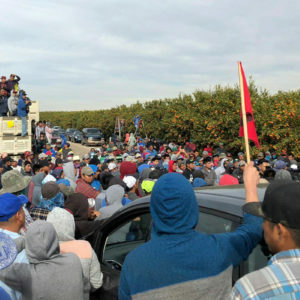 Elements of the UC administration also did not support Occupy the Farm’s more recent efforts to contest development plans for the south side of the 10 acre parcel. 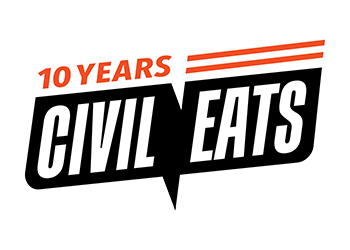 Despite this history, the symposium convinced me that “good food” things could happen within the university context, with the right organizers, the right funding, and the right motivation. Breaking down the silos in which we work was the spark that created BFI. I’ve been talking about this idea for a while (though not expressly within the context of research), trying to craft a better understanding of social change by looking at the intersectionality of the foci of many different movements. Better research can come about when public health experts talk to the law and policy folks, or when the CNR ecologists can sit at a table with both macro-economists and radical sociologists. Breaking down the lack of communication between specialists will no doubt yield fresh fruits of food systems research. But while breaking down the silos and bringing researchers within academia together is important, it can’t on its own create truly transformative research. New models are needed to counter the historically top-down, profit-focused models of research exemplified in the “Green Revolution” and still being touted by powerful players like Bill Gates and the U.S. State Department. This “new green revolution” of biotechnologies, synthetic biology, and “intensified production” is—to many sustainable agriculture proponents—more of the same. To see something truly different come from research, the voices of those communities affected most by our dysfunctional food system (farmers, farm workers, consumers with little wealth) must trump those of power and money. In deciding what research is needed, how that research should be conducted, and whose knowledge counts, communities that form the base of the food system’s unequal economic pyramid need to be front and center in the BFI’s development. Feeling this to be the case, some of those invited to the symposium (myself included) crafted an open letter to participants, elaborating on the need for accountability within the BFI, and the opportunity that exists for it to make itself relevant and accountable to the already active Bay Area food sovereignty/food justice community. Luckily, models for institutional-community collaborations in research (such as CBPR, or community-based participatory research) are already in development and being practiced. Even more, the symposium indicated that the U.C. research community, the sustainable agriculture funding community, and the Bay Area food justice activist community are all interested in further developing this new model. The symposium brought together about 160 participants, composed of U.C. faculty and graduate students; food systems writers, thought leaders, researchers, and “community members” like myself; and the BFI’s funders. An introductory speech was given by the United Nations’ Special Rapporteur on the Right to Food, Olivier De Schutter, who framed the proceedings in a decidely radical way. During his detailed and dynamic presentation on the challenges presented by the current “food regime,” De Schutter described three general approaches to innovating/intervening: Through the market, through the state, and through citizen-led initiatives. He suggested that we should forget the first two, as they lead to cooptation and rarely to transformative change, and that the Institute would be better served focusing on the third approach, a refreshing take to hear from the United Nations. The tone throughout the event followed from De Schutter’s sentiment, with panelists and participants alike focusing on the value of citizen-led initiatives, community-based leadership and decision-making, democratic participation, cultivating social equity, and connecting research to social movements. During the first panel discussion on “opportunities” for action, celebrated economist Raj Patel called out capitalism from the stage—further pushing the symposium into radical, atypical territory. Patel argued convincingly (and with his trademark humor) that the BFI should be careful not to reproduce capitalist agriculture as it exists, and instead to agitate for new models and local experiments based on food sovereignty. In relation to the challenge of how big a tent to make the BFI (Will it include conventional farmers and their needs? Will it include food corporations? Will it encompass reformist agendas alongside radical ones?) Patel posited that the BFI could bring together people who aren’t necessarily “on the same page” but are at least “in the same book” by agreeing on some basic principles. Patel and others suggested La Via Campesina (an international coalition of peasant-based organizations) as a model for defining such principles, and I for one would be very happy to see such principles guide the BFI. Panelists Marcia Ishii-Eiteman (Senior Scientist, Pesticide Action Network), Jun Borras (Editor, Journal of Peasant Studies), V. Ernesto Mendez (Participatory Researcher, UVM), Steve Gliessman (Agroecology pioneer, UCSC), Raj Patel, Ben Burkett (President, National Family Farm Coalition), Maricela Morales (ED, CAUSE), and Karen Washington (NYCCGC) all mentioned the importance of supporting the grassroots, of doing participatory research, of working for and with marginalized communities, and of deep systems change, not surface level tweaking. Even some of those involved in bringing the BFI to life, including BFI Interim Executive Director Carolyn Federman, philanthropist Bob Epstein, and Maria Echaveste, a policy director at the Boalt School of Law who used to work for Bill Clinton, told me directly that they appreciated the ideas and tone of our open letter. Of course, there is still the idea that all this talk could just be “window dressing”. There’s nothing to disprove this notion until it is clear what research gets funded, what agenda is prioritized, and how “community-based research” is supported. Only then can local food sovereignty and food justice communities of interest really pass judgment on the BFI. Judging from the tone of the symposium, I would imagine that it would be hard for the funders to argue against using some of the funds for community-based projects, since that was almost the key theme. But it was never really discussed exactly how, by what process, or when. The symposium wasn’t the end of development of the BFI. There were no official decisions made by it, just an elaboration of interests, themes, and foci which will inform the work of the future BFI Executive Director, staff, and programs. From what I understand, there is no set plan for how the funding will be released or used, as that is something the new ED will determine when they are hired some time this summer. Funding for the BFI currently comes from individuals and family foundations. Claire Kremen and Alastair Iles, the faculty co-directors of BFI, have stated that they will not accept any corporate donations, whether directly or through corporate foundations, with the intent of receiving funding only from entities whose values match the Institute’s. The two lead funders are the 11th Hour Project of the Schmidt Family Foundation and Bob Epstein of Environmental Entrepreneurs. I had a chance to talk to Epstein, and found his candor and openness surprising and refreshing. Further, I found that his philosophy of funding seemed to jibe well with the themes being discussed in the symposium. Epstein expressed that one of his family’s foci is on early childhood education and helping kids to think of themselves as activists. In this vein, he also said he wants to fund graduate students at Berkeley directly to get them to change the research process and focus, since many professors have a set research agenda, whereas graduate students are often searching for their own research trajectory. Starting with students, then, is partly about rewarding those often considered to be on the lowest part of the totem poll (underpaid and overworked graduate students) for developing new, interesting, potentially transformative research projects. The fact that those students could and would likely develop these projects in collaboration with local food movement initiatives makes this approach even more innovative. One last thing: at one point another longtime social movement activist and symposium participant reminded me that even with all this talk about social movements, we (social movement activists) must remember that the BFI is not, and cannot, be that social movement. It can (hopefully) support it, with direct funding and increasing legitimacy for our ideas and values, but we can’t or shouldn’t expect the BFI to “be” part of the movement. At least, that’s how I interpreted what he said to me, and I think it’s a good point to keep in mind. Still, I want to leave you with an impression that too rarely gets made: it is possible for grassroots activists and historically problematic institutions to work together. Not only is it possible, but the combining of these elements into “research democracy” may prove a key piece in the process of constructing food sovereignty. When the powers of institutions such as U.C. are leveraged for good and non-academic communities are authentically included in that process, much can happen, and things can change in ways we never thought possible.